I’m a certified bookworm, which I’m sure many of you can relate! I always seem to have a stack of books on my nightstand constantly. Like more than one person should probably read at one time. I told you my reading list was a long one! I love reading, and I love reading paper books (none of those e-readers for me!) Which means I usually need a few bookmarks to make sure I don’t lost my page. I definitely don’t fold over my corners, because that’s blasphemy! Most of the time usually end up grabbing a random something to use as a bookmark. This includes socks, paintbrushes, old bills, my kids toys and various other items. Needless to say, it was time to make some proper bookmarks to keep track of all this reading. 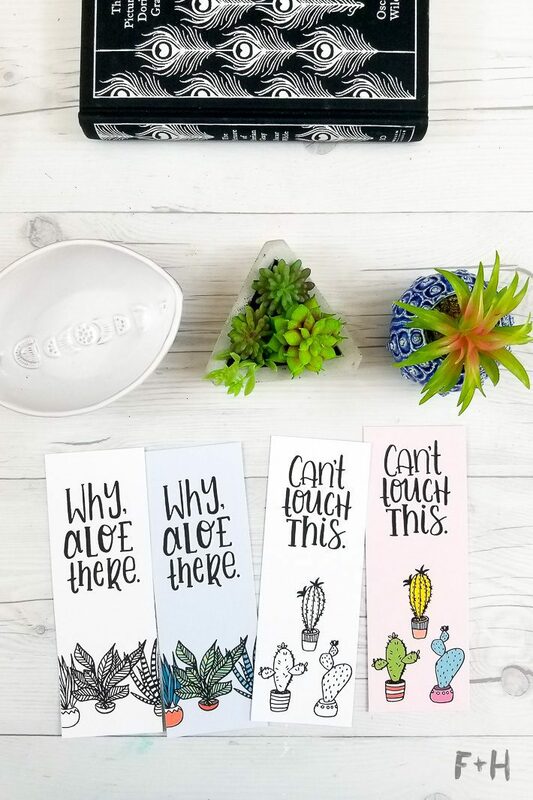 So I decided to whip up these super cute punny succulent adult coloring bookmarks! Puns and dad jokes are my love language. Nothing slays me more than a silly pun or dad joke, seriously. Which also meant I was here for all the succlent puns. I also love the idea of a coloring bookmark, because everyone loves coloring. 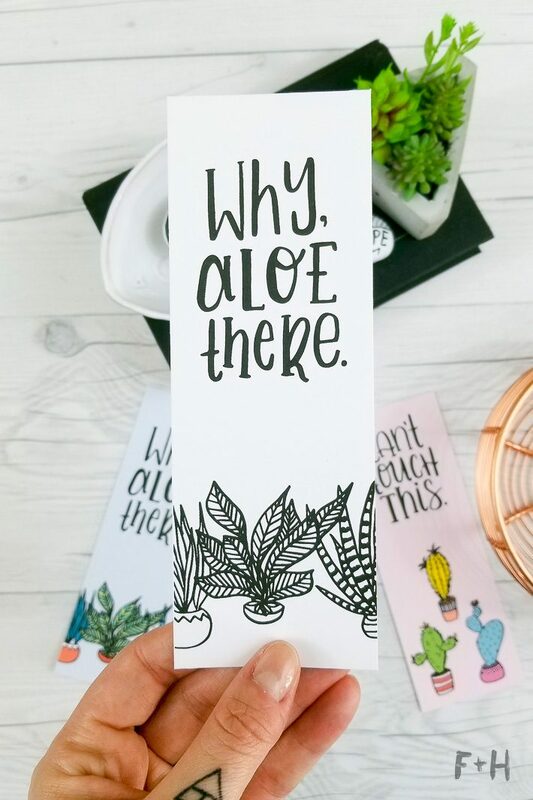 To create these bookmarks, I used my favourite pen to draw them – the Tombow Fudenosuke Brush Pen Soft Tip. I love the variation in thickness it gives when I’m illustrating! But, I know not everyone loves coloring, or maybe you’re just not feeling it. I mean, you’re here for the bookmark so you can keep reading after all! So I also created two colored versions to print as well! 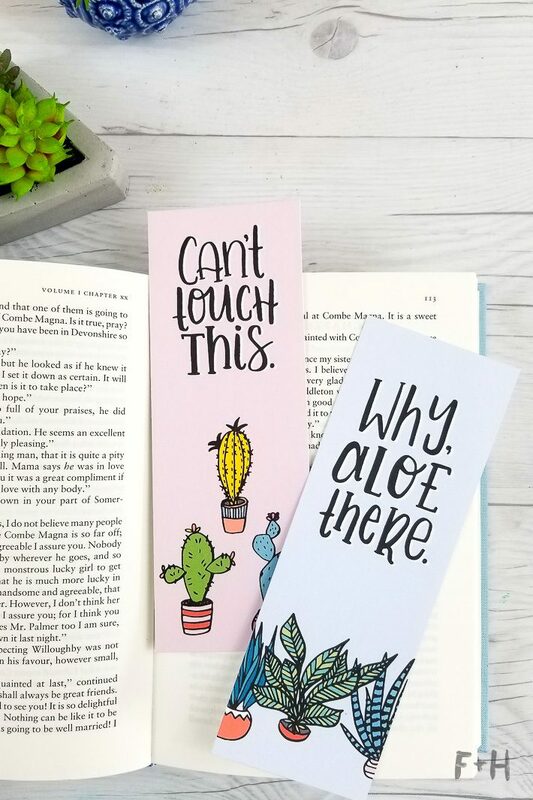 These adult coloring bookmarks are the perfect size for any book and I love how they turned out! 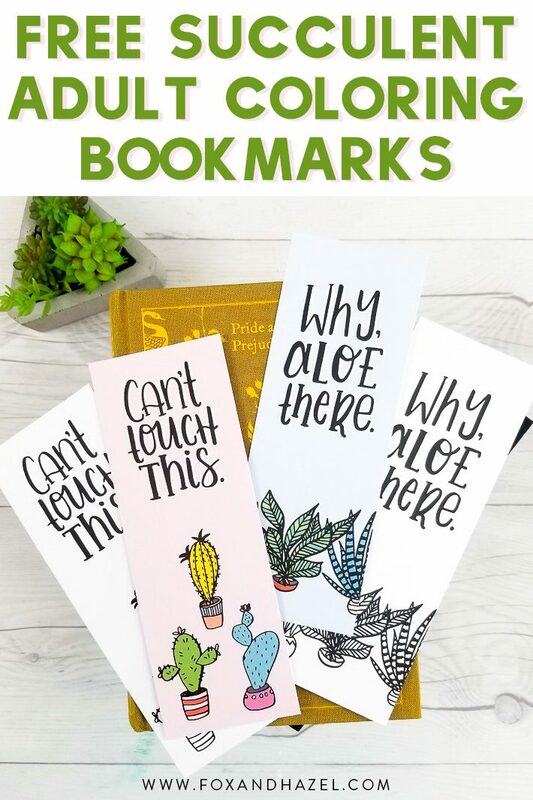 These bookmarks are so cute but when I click the link to download all I get is a picture of the bookmarks but nothing to print? Please help!